As you drive up the winding road, there’s a very good reason the welcoming sign includes “family” in the Trapp Family Lodge. From the warm and friendly staff that makes you feel at home, to wide variety of activity and events sure to please everyone in your group, Trapp has it all. We arrived on a Friday afternoon in early March. After dropping our bags and a quick change of clothes we headed out the door to meet Larry, our Cross Country Ski Instructor, at the Nordic Center. With a smokey, wood burning fireplace keeping us warm, he fit us with boots and skis and ushered us out into the practice meadow to begin our journey. I guess we were a quick-study because before long we were gliding, turning and even going downhill on the main trail called Sugar Road. For being late in the season, the trails were still in great shape. They are groomed every day. The scenery at Trapp is incomparable to anywhere else we’d ever been. Simply put–stunning. We saw kids of all ages enjoying it, not just our own 8 and 11 year olds. The Nordic Center has everything you need including Pulks (sleds built for carrying 1 child) and Nordic Cabs (a little chariot that can fit 2 smaller kids or 1 larger up to age 6) for rent. While my husband and son decided to stay out and ski a bit longer, my daughter and I chose to enjoy afternoon tea in the Lounge. Whereas this is complimentary for guests, I would encourage locals, for the cost of just $3.75, to come do this anytime with your children. Appropriately, there is a nice selection of tea and cookies that you can take into the Library, Lounge or any of the adjacent rooms. There is a fireplace that you can cozy-up to while you gaze at the Trapp Family or Sound of Music memorabilia. Just before dinner we decided to pop across the street from the Main Lodge to the Fitness Center for a quick dip in the indoor pool. Honestly, I wasn’t sure we were going to make it to dinner! But I’m glad we did because our kids absolutely loved it! 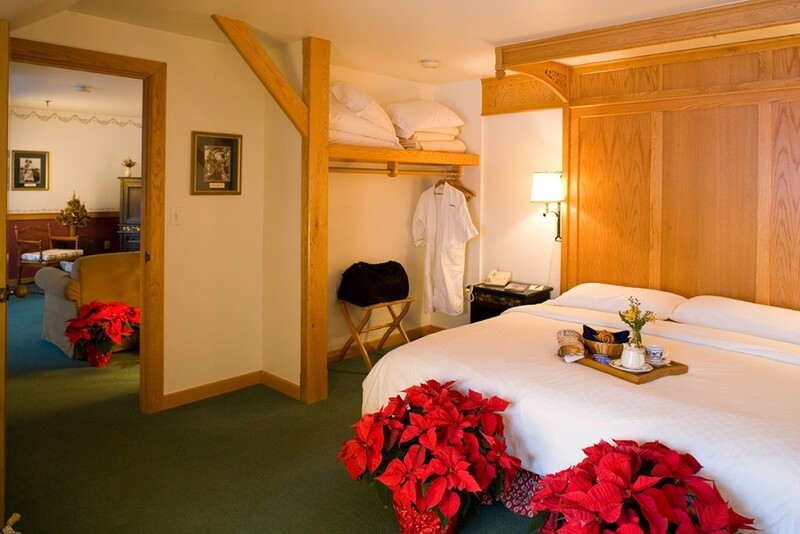 From the outside it maintains the same look and feel as the rest of the property, the quaint Austrian Alps Lodge style. Inside you are at a brand new spa that houses the indoor family pool, fitness center and massage rooms. In the warmer months, it’s worth noting the two heated outdoor pools – one is for families, one is adult-only. In the winter, don’t miss the outdoor, over-sized hot tub that felt great after 4 hours of skiing. The fitness center is also the home for the Kids Club and Activity Center. 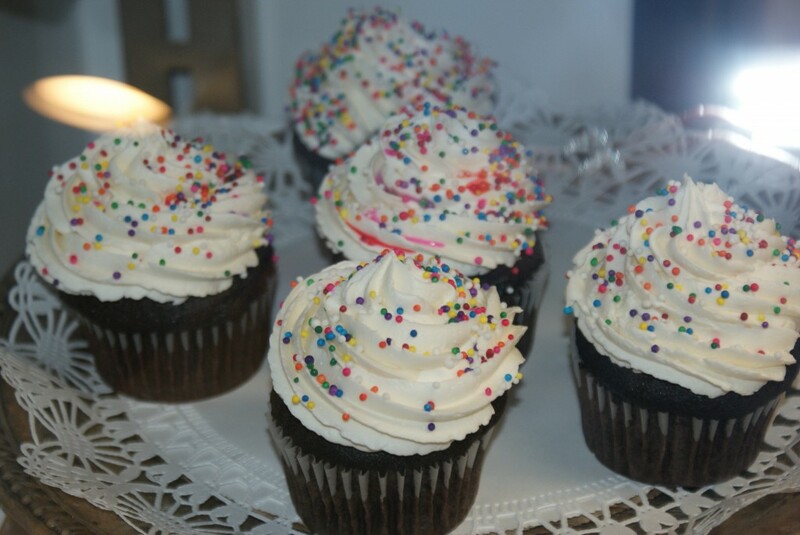 Guests staying at the lodge should check the on-going schedule for fun events like mountain madness, rock wall climbing, tye-dye t-shirt making, cookie decorating, sing-a-longs and more. We did make it that evening to the Lounge for a casual dinner. My entire, extended family (all locals) decided to join us at the last minute. This surprised the hostess Becky who was expecting a party of four but managed to seat all 11 of us with no problem at a wonderful table in front of the fireplace. The kids loved listening to the musician who played classic Sound of Music tunes on the piano throughout our meal. There is a kid’s menu with choices like chicken fingers, grilled cheese, grilled chicken, and whole-wheat penne with meatballs & sauce. Although it isn’t on the menu, they also have a kid’s burger. Then it was off to bed in our suite, where we found Lake Champlain Chocolates on our pillows. These rooms are designed well to accommodate families. We had a king sized bed with a full master bath and a separate living room with a pull out couch for the kids and another ½ bathroom. There was also a wood burning fireplace, a wetbar, coffee maker, and a balcony. It was almost like our own little condo minus a cooking area. The next morning we took advantage of the full country breakfast in the dinning room. The kids loved the buffet. Where else can you have all the fruit you desire plus an endless supply of hardboiled eggs? Then it was back to the Nordic Center because apparently one XC ski lesson with Larry is enough to make you believe a trek to Slayton Pasture Cabin is a no brainer. The hills were certainly alive with the sound of my family complaining as we ascended to the cabin via the black diamond trails on XC skis. There were a lot of “are we almost there yet?” and “how much long-e-e-rr?” But plied by energizing sport jellybeans and chocolates bought in the Nordic Center before we left, the kids continued to power up the path. Six kilometers uphill on cross-country skis is not easy. But when you get there, you will find this perfect little cabin welcoming you in with the aroma of a wood burning fire, homemade soups and sandwiches. It is like a reward for the effort you put forth in getting there. My husband declared his peanut butter and jelly sandwich on thick-crusted whole wheat the best he’s ever tasted. Sit on the porch, take in the view and imagine what it was like for the von Trapps to once have this little slice of heaven all to themselves. Even though the Sugarhouse was open for tastings that day, we didn’t have time to swing by on our way back down from the cabin–we didn’t want to miss the wine tasting in the cellar. But as a local, that is certainly something we will come back just for the day to enjoy. Trapp sugars the old-fashioned way using metal buckets and a team of horses pulling a sled to gather their sap. 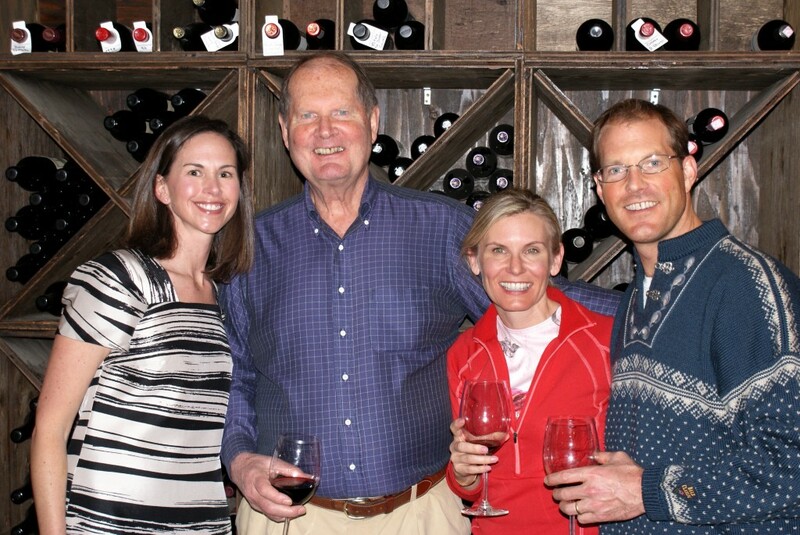 That evening we headed to the wine tasting where I got a chance to meet up with a fellow family travel writer, as well as Johannes and Sam Von Trapp. Meanwhile our kids went over to the perfectly timed evening activity at the Kids Club (both the wine tasting and the kids club “Make your own Peace Flags” activity was from 4-6PM). It seems that many of the kids club activities are timed as such, a nice plus for the parents! Then we scooped up the kids and went to dinner in the Main dinning room where the dress is “business casual”. That meant we saw folks in sequined tops with shiny baubles around their necks as well as people dressed in khakis. The food was outstanding and while the menu is Austrian inspired there were plenty of choices for everyone. My kids were shocked that even though I am not a dessert person, even I had the “world famous” Linzertorte and boy, was it good. Over the years they have mad some additions to the Lodge and it can be a bit tricky at first to navigate your way around. Our kids made a game out of finding the quickest way from point A to point B. In their travels they happened upon the Game Room. To our delight they had the game of Life, a family favorite which we brought back to the room that evening to play. Sunday morning we took the History tour. My only regret is that we didn’t do this sooner in our stay. Everywhere you look in the Lodge, in the hallways, in your room, in the stairwells, there is Trapp Family memorabilia and this tour puts all of that into perspective. It starts in St. George Hall with a staff member telling the real history of the von Trapp family, which differs quite a bit from the Sound of Music version most people are familiar with. For instance, I didn’t know that Johannes, whom I had met that night before, was the Captain and Maria von Trapp’s 3rd child. Yes, they had 3 more children after the original 7 from the movie. Or that the von Trapp’s almost settled in Brattelboro, not Stowe. The tour also includes a documentary film featuring Maria von Trapp. She retells the history of the von Trapp family so poignantly that when we got home Sunday evening both my children asked to watch the Sound of Music for the umpteenth time! Before we headed out on Sunday, we walked down the road to have lunch at the Deli Bakery—a hidden gem for locals. We will certainly be bringing our out of town friends here for lunch and to enjoy the outstanding view of Stowe—or even to pick up food before a Mozart Fest concert in their meadow. Lunch choices consist of soups like corn chowder or cheddar ale, various salads and sandwiches such as turkey, bacon, cheddar on cranberry focaccia or an Austrian meat combo with kraut on pumpernickel. The real stand out here though is the desserts. One look at these cupcakes and my daughter was pretty much done. 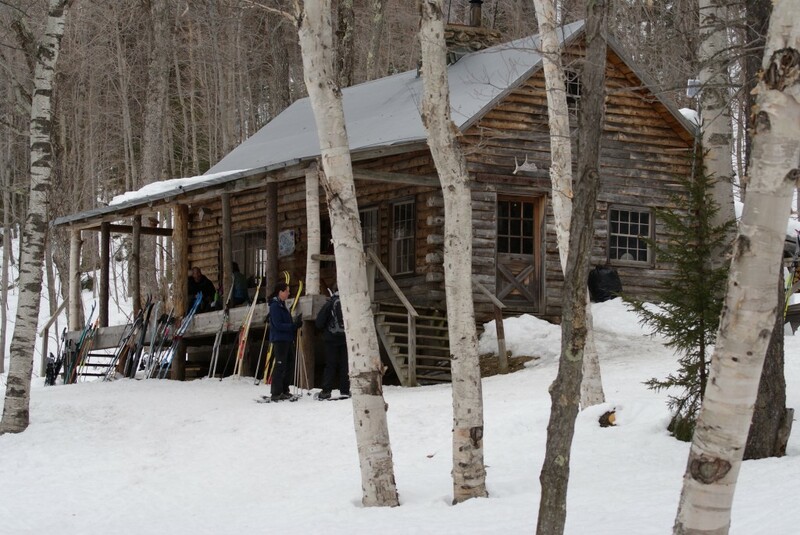 Located just below the Deli is the new Trapp Lodge Brewery, which opened in 2010. Jean-Luc, the Sommelier, was kind enough introduce us to Allen Van Anda, the Brew Master, for sneak-peak at the facilities and a little tasting. We are looking forwarded to heading back to Trapp Family Lodge in the warmer months to explore the 60+ kilometers of wooded hiking trails and mountain bike trails. For Vermonters, when thinking about planning your next vacation, consider in the cost of flights for your family to a destination outside of Vermont (ballpark $1500). Why not reallocate that money and upgrade yourself from the standard room you would have stayed elsewhere in to a suite at Trapp. Now your family can have a little more room to spread out. Even better, you arrive at your destination in less time and without the hassle of having to make sure your liquids are in 3.4 oz containers! 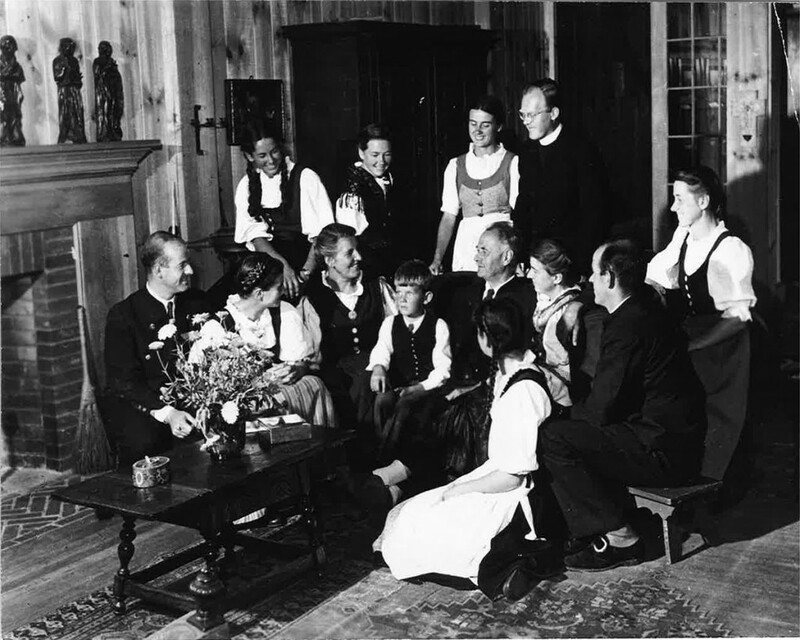 Over 65 years ago the von Trapp’s discovered Vermont and made it their home for generations to come. 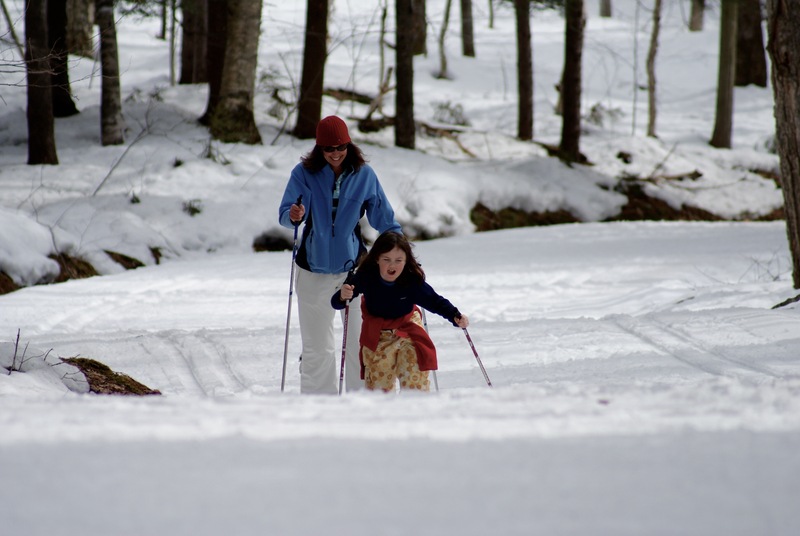 Isn’t now a good time for Vermonters to discover Trapp and all it has to offer? We think so. Disclosure: This review is based on a complimentary visit to the Trapp Family Lodge. I received no other compensation besides the hotel stay, some activities and some meals. The business owner did not state any requirements that I express a particular point of view. All of the opinions I expressed are my own.